Quick and Easy Instant Pot Spaghetti Dinners is collection of Instant Pot spaghetti dinners that every family will love! 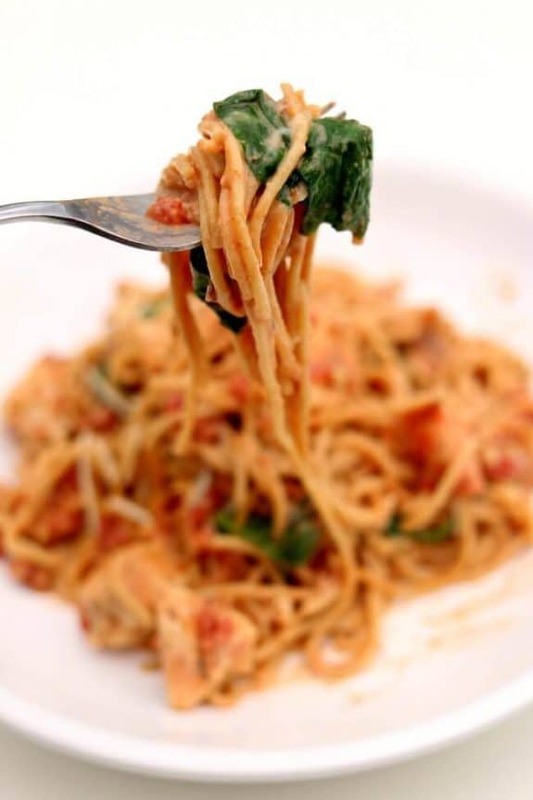 And spaghetti for a family dinner is a favorite traditional meal that is quick, inexpensive, and always delicious! Click here to PIN Quick and Easy Instant Pot Spaghetti Dinners! Click here to see The Best Instant Pot Pasta Recipes! Getting dinner on the table every single night is always a challenge; I don’t need to remind you about that, right? 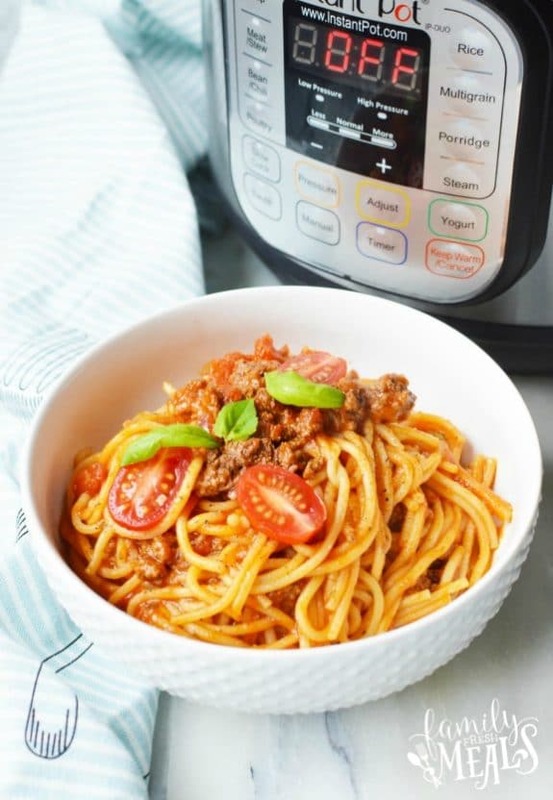 That’s why we’re hoping this collection of Quick and Easy Instant Pot Spaghetti Dinners can help you find some new family dinner ideas that are quick, easy, inexpensive, and delicious. And our round-up of The BEST Instant Pot Pasta Recipes has been a huge hit on the site, so we know that quick and easy pasta dinners made in the Instant Pot is something that’s a winner for lots of people. And if you haven’t tried making spaghetti in the Instant Pot, you’re going to love the way it cooks up so quickly! 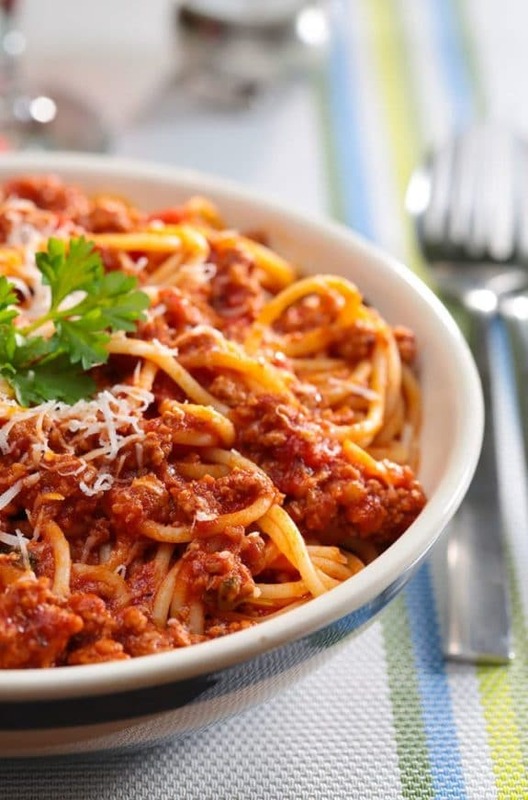 This collection or spaghetti dinner recipes has some traditional spaghetti dinners with red sauce and ground beef, as well as some spaghetti dinners with ingredients like chicken, bacon, sausage, cream cheese, ground turkey, and of course meatballs! 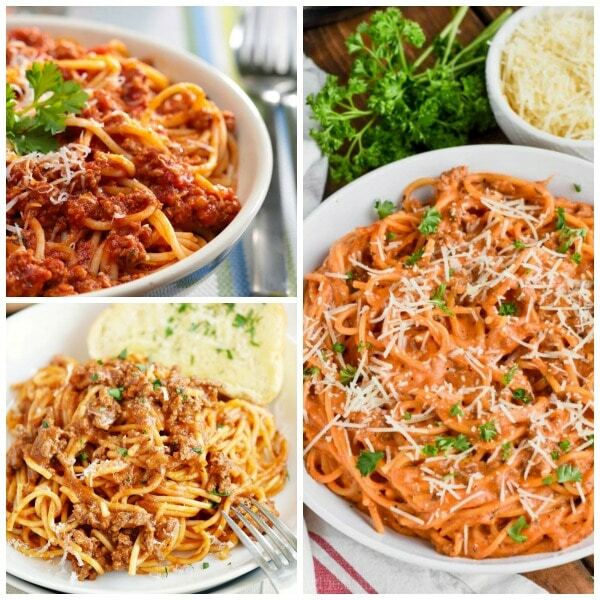 Pick one to try and see whether the idea of Instant Pot spaghetti dinners will be a hit with your family! All photos are copyrighted to the blog that posted the recipe. Just click the recipe title under any photo to see the complete recipe on the original site. And I hope some of these Quick and Easy Instant Pot Spaghetti Dinners might make it into a permanent spot on your Instant Pot dinner rotation! This Instant Pot Spaghetti from Cooking With Curls is the perfect meal for a busy night! So quick and delicious and your family will love it! 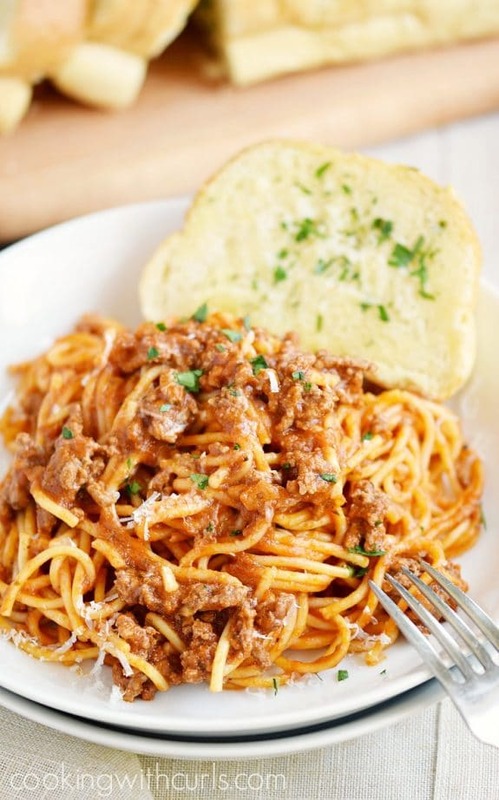 This delicious dish of Pressure Cooker One Pot Meat Spaghetti from Frieda Loves Bread, includes pasta that absorbs all the flavors of sauce, browned meat, and spices. A perfect dinner choice! Instant Pot Spaghetti from The Typical Mom is a complete 10 minute meal for under $10! Justine says this is one of their favorite dinners! Karen from 365 Days of Slow Cooking and Pressure Cooking says her family loved this Instant Pot Creamy Chicken Bacon Spaghetti, and this recipe has chicken. bacon, cream cheese, tomatoes, Parmesan, and spinach. Doesn’t that sound good? 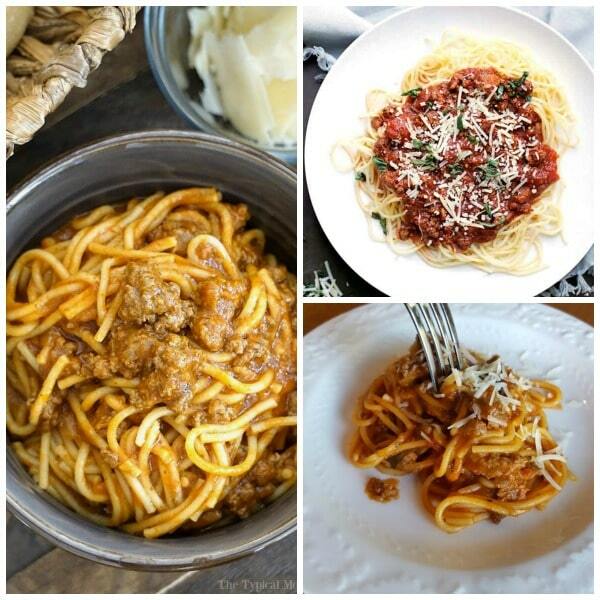 How to Make Spaghetti in the Instant Pot from Center Cut Cook is a classic spaghetti recipe. Using a combination of sausage and beef in this homemade sauce gives it an extra rich flavor, just add a little fresh grated parmesan and enjoy! 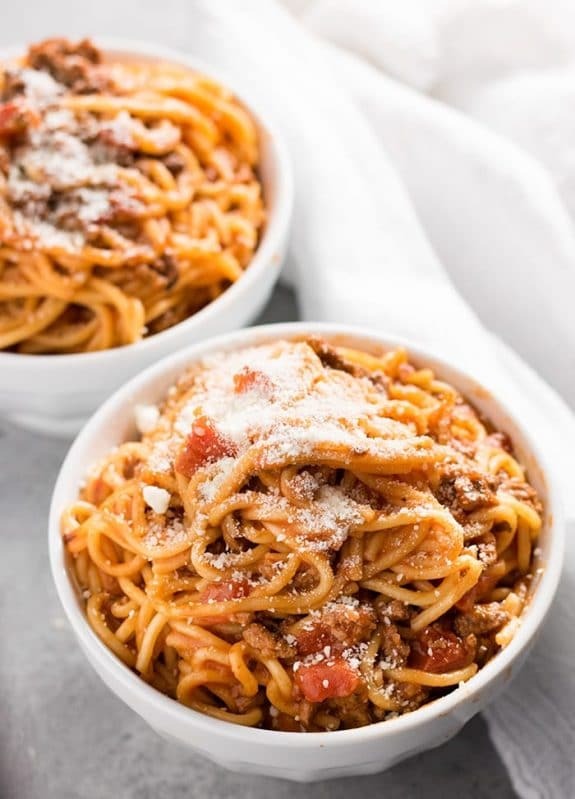 This Creamy Instant Pot Spaghetti from Wine and Glue is the creamy one you love and is made simple by using the Instant Pot. Be sure you don’t add the cream cheese until the end of cooking time! Instant Pot Spaghetti and Meatballs from I Wash You Dry is a delicious tasting comfort food! Using homemade meatballs, a basil tomato sauce, spaghetti noodles and a few minutes time equals a delightful family dinner! How about a bowl of this hearty and tasty Instant Pot Spaghetti Dinner from Family Fresh Meals for dinner tonight! The Instant Pot makes cooking and cleanup a breeze so put this recipe in your meal rotation! 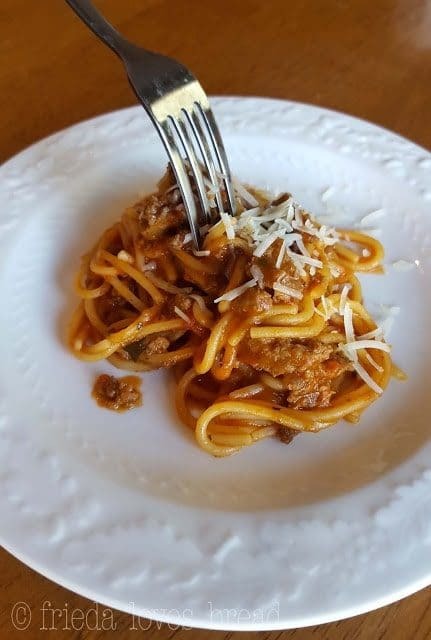 Instant Pot Spaghetti with Meat Sauce from Skinnytaste is a success with Gina’s Italian husband, that’s right he came back for seconds! This recipe uses ground turkey and whole wheat pasta for a healthier dish with a very tasty flavor. 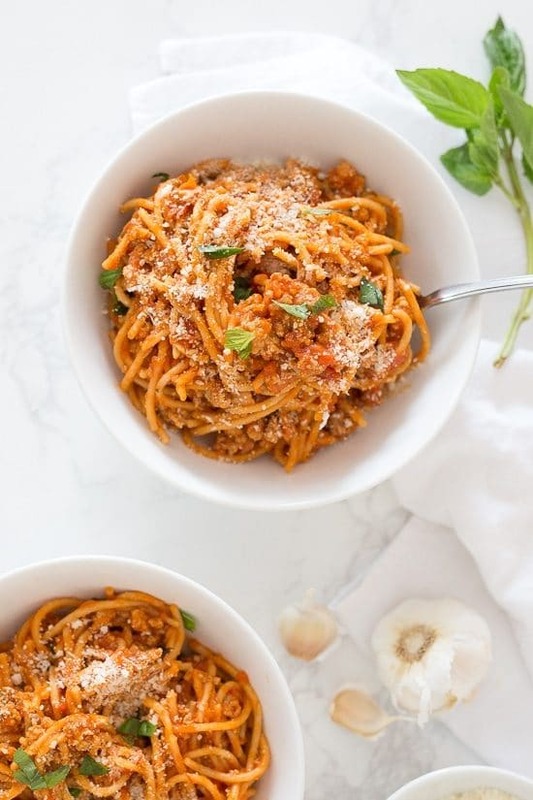 The Kitchen Magpie says this Instant Pot Spaghetti can be made with her homemade bolognese sauce or one of your own favorite sauces, either way I think you’d have a great dinner for the win! Nichole claims this Instant Pot Spaghetti from The Salty Marshmallow is the easiest spaghetti recipe ever! That is a good enough recommendation for me to know that I want to try this! It looks so delicious! 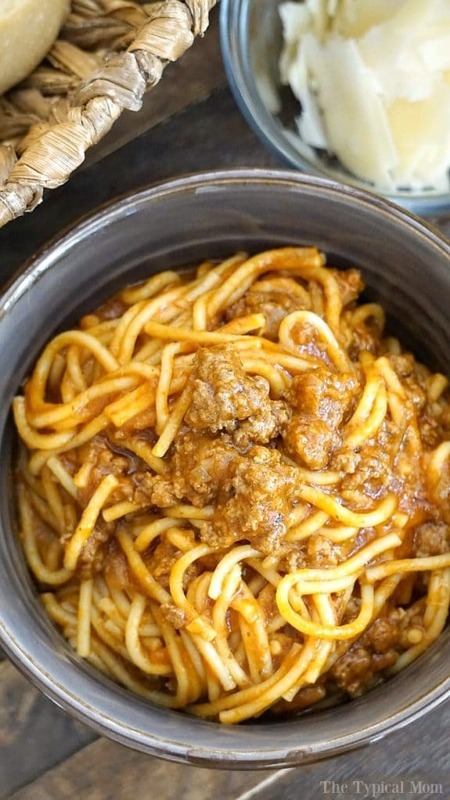 Have you made spaghetti dinner in the Instant Pot? Let us know in the comments about how it went for you!